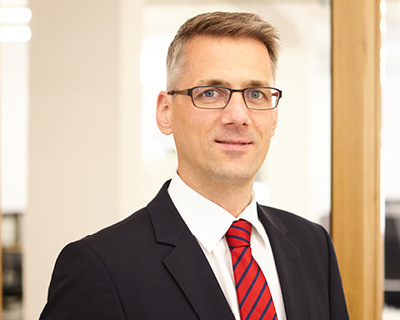 Felix has 19 years of professional experience in private equity and turnaround management. Felix was a co-founder of Rhino Partners in 2007 where he led the acquisition and buy-and-build of Seniocare together with his investment partners. He was part of the team that established 3i in Switzerland between 2000 and 2006 and has invested in several companies across industries and stages of development. Prior he was with Helbling Management Consulting where he led cross-border turnaround and interim management engagements. He holds an M.Sc. as mechanical engineer of the Swiss Federal Institute of Technology Zurich (ETH) and a Bachelor of Swiss Federal Institute of Technology Lausanne (EPFL). Felix is a director on the boards of various portfolio companies. During his career, Michel has been involved in investments into industrial, service, and healthcare companies across Europe and emerging markets. He shares his experience in publications and as a regular speaker at industry conventions and academic institutions. Prior to Evoco Michel was at HgCapital, working on a range of strategic and operational projects for portfolio companies, and at 3i, where he was a member of the European buyout team. He began his career at UBS in the M&A advisory business. 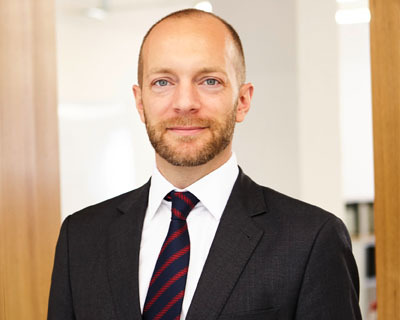 Michel holds an MBA from IMD in Lausanne, Switzerland, and a Master’s degree in Finance and Economics from the University of Berne, Switzerland. He served as an Officer in the Swiss Army’s mechanised infantry units. Michel is a director on the boards of various portfolio companies. Lorenzo joined Evoco in 2016. 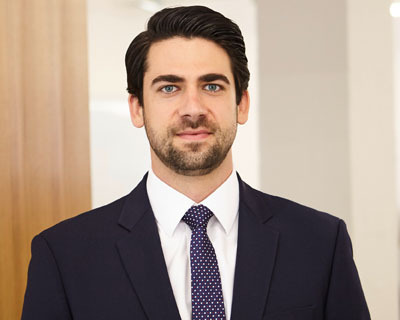 Prior to Evoco, Lorenzo worked in strategy consulting at McKinsey & Company and Monitor Group, and in private equity in the Zürich offices of Monitor Clipper Partners, a US-based mid-cap fund with USD 2.5 billion assets under management. Lorenzo holds an MBA from INSEAD, an M.Sc. double degree in Business Administration from the ESB in Reutlingen, Germany, and Università Cattolica in Piacenza, Italy, and is a CFA charterholder. At Evoco, Lorenzo is responsible for our value creation initiatives across our portfolio. He brings a mix of experiences to play from strategy consulting to private equity, and from Interim-COO of a Berlin-based start-up to his background in family business. He also steers Evoco’s efforts for new transactions in Southern Europe. Patrick joined Evoco in 2018. He has ‎13 years of professional experience in the financial services industry, thereof six in alternative asset management. Before Evoco, Patrick was COO/CRO and member of the executive management of GZC Investment Management AG, a discretionary alternative investment manager. Prior to that he worked for Swiss Capital Alternative Investment AG in Dublin and Zurich, an asset manager with USD 5 billion assets under management, as well as for AXA Insurance Company in Paris. He began his career as auditor at Ernst & Young, focusing on the banking and asset management sector. Patrick holds a M.A. in Business Administration from the University of Zurich, is a Swiss Certified Accountant (Swiss CPA), and a FRM Charterholder. At Evoco, Patrick is responsible for all financial, operational and regulatory matters of the management company and its ‎investment products. In addition, he oversees financial due diligence processes and is involved in the financial planning and monitoring of the Evoco portfolio. 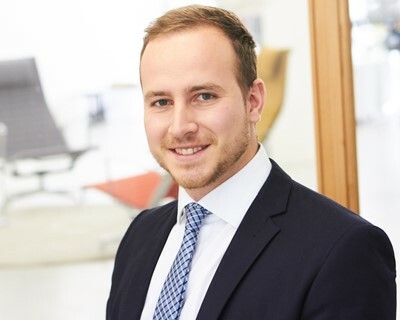 Philipp joined Evoco in 2014 after gaining private equity experience at Capital Dynamics, where he conducted and published a quantitative research project on the benchmarking of private equity funds. During his studies, Philipp founded and built up the Swiss Private Equity Conference, which today is the leading annual event hosting 250+ senior private equity professionals from all over Europe and beyond. He also gained experience in strategy consulting, venture capital, and the automotive industry. Philipp holds an M.A. in Accounting and Finance from University of St. Gallen, and apart from Switzerland, studied in the Netherlands and Colombia. At Evoco, Philipp leads the deal origination process and diverse value creation projects in portfolio companies, among other involvements. He participated in a secondary direct transaction in 2015, in which Evoco’s advised funds acquired six portfolio companies across Europe. Maximilien joined Evoco in 2017. 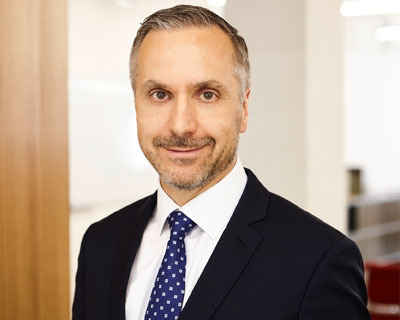 He previously gathered experience in strategy consulting at Estin & Co where he participated in several strategic audits as well as commercial due diligences for family offices and private equity funds. Maximilien holds a B.Sc. in Business Administration from the University of Neuchâtel and a M.A. in Banking and Finance from the University of St. Gallen, Switzerland, with semesters spent abroad at the Copenhagen Business School in Denmark and the University of Cologne in Germany. Maximilien also passed all three levels of the CFA Program and serves as Officer in the Swiss Army’s infantry units. Jan joined Evoco in 2018. 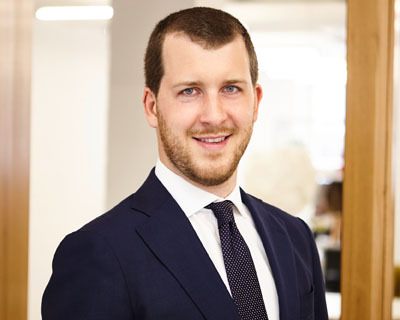 Prior to Evoco, Jan co-founded an M&A consulting start-up and gained experience in the private debt markets with Ardian in London, where he took part in the review and development of investment opportunities. 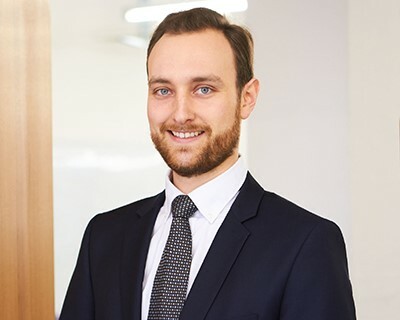 Jan holds a BSc in Accounting and Finance from the University of Warwick and an MSc in Finance with distinction from the Cass Business School in London, where he headed the Cass Private Equity society. At Cass Jan also became an honorary member of the Beta Gamma Sigma society. Benoît Leleux is the Stephan Schmidheiny Professor of Entrepreneurship and Finance at IMD in Lausanne. Previously, Benoît was Visiting Professor of Entrepreneurship at INSEAD, Fontainebleau, and Associate Professor and Zubillaga Chair in Finance and Entrepreneurship at Babson College, Wellesley, USA. He is the author of “Investing Private Capital in Emerging and Frontier Market SMEs”, “Nurturing Science-Based Start-ups”, “From Microfinance to Small Business Finance” and “A European Casebook on Entrepreneurship and New Ventures”. “Private Equity 4.0: Reinventing Value Creation”, with H. van Swaay and E. Megally was published at Wiley in 2015. He has also written a large collection of award-winning case studies and scientific papers. He holds a Ph.D. from INSEAD, Fontainebleau. A serial entrepreneur based in Orlando, Florida, and Switzerland, Beat Kahli is the Founder, President, and CEO of Avalon Park Group (APG) Orlando, Florida, a diversified family of companies with more than USD 300 million in total assets. His real estate development projects in the Orlando area sold developments with a total value upon completion of USD 1.5 billion. The Tampa-based Avalon Park project is similar in size and scope and is anticipated to have a value of USD 1.1 billion. Beat also donates his time and financial support to a number of philanthropic causes. He serves on the board of many community not-for-profit organisations including the Red Cross of Central Florida, the Central Florida YMCA, the Central Florida Boy Scouts, and the University of Central Florida’s Health and Public Affairs. Beat also serves on Florida Hospital Orlando’s Board of Directors. Gerhard Beinhauer is an entrepreneur who runs his own investment company and his experience in stake-holdings of technology-driven companies spans more than 20 years. Providing strategic counsel to family offices, boards and entrepreneurs, he developed his expertise in designing and implementing business strategies and managing turnaround and interim processes. He serves on the supervisory/advisory boards of several companies in Germany, Switzerland, and Canada. Gerhard holds an MBA from IMD in Lausanne, Switzerland. Lindsay Dibden spent a 24-year career in private equity investment, latterly as a Founding Partner of HgCapital. He established HgCapital’s Healthcare practice in 1996 which he managed for 16 years. Among the investments he led was the first buyout of Priory Hospitals, the MBI of Castlebeck Care, MedNova, and Verigen in the medical devices space, Pharma Bio-Research, Clinphone, and Profiad in the Pharmaceutical Services industry and Tunstall in the care technology arena. During his career he was involved in more than 30 transactions. Prior to retiring from the partnership in 2012, Lindsay served on the firm’s Investment Committee and Executive Committee. He is now the owner of two private businesses and manages a portfolio of other investments, and in addition acts as an advisor to Spring Ventures and a restructuring consultancy. Lindsay read Aeronautical Engineering at Imperial College, London, and is a Chartered Accountant. Our Evoco team is growing and we are constantly looking for outstanding talent.